Dr. Colvin grew up in Southeast Texas. Her childhood pets included dogs, cats, rabbits, turtles, fish, a hamster and anything else she could talk her mother into harboring in her bedroom including an ant farm. She cleaned stalls and fed horses, cattle and goats at a boarding stable during college to help pay for her education. Since 2002, Dr. Colvin and her husband have called Uvalde home. Dr. Colvin attended Texas A&M University where she earned her Bachelor of Science degree in Biomedical Science and Animal Science in 1992 and Doctor of Veterinary Medicine degree in 1998. Dr. Colvin served on the executive board for Texas Veterinary Medical Association (TVMA) from 2006-2015 and as TVMA President in 2014. She is a member of the American Veterinary Medical Association, American Association of Equine Practitioners and Texas Equine Veterinary Association (TEVA). She currently volunteers as the Horse Show Superintendent for the Uvalde County Junior Livestock Show. Dr. Colvin recently completed her Fear Free Certification and enjoys promoting considerate approaches and gentle control techniques for both small and large animals to provide less stressful care for her patients. Dr. Colvin enjoys working with a wide variety of species including dogs, cats, horses, goats, pigs, rabbits, guinea pigs, chickens and ferrets. Her hobbies include anything horseback, photography and reading. Dr. Russell has a particular fondness for cats and shares her life and home with “The Stink”, a nakkie Sphynx cat, and “Emma Jane”, the pug who accompanies her to work most days. She believes in education and remaining up to date with current veterinary medical knowledge, techniques, and treatments. 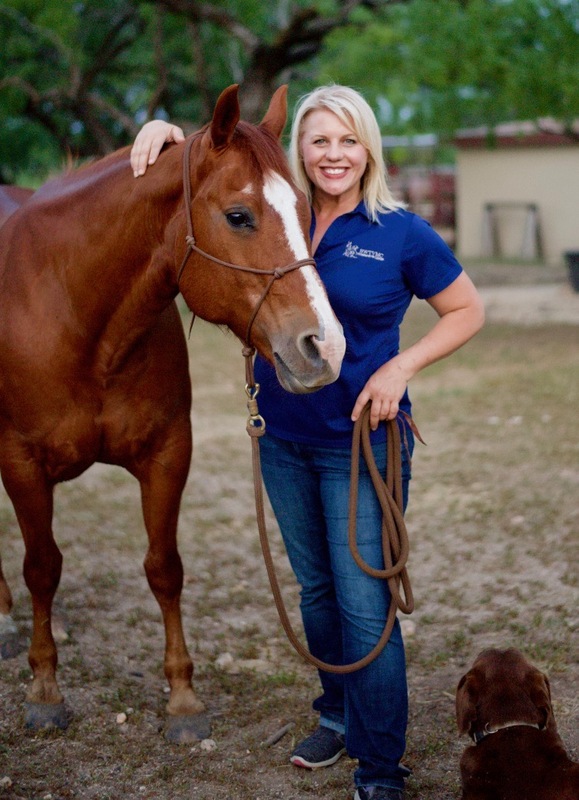 She currently serves as President of the Texas Academy of Veterinary Practice whose members voluntarily agree to complete at least 50 hours of continuing education each year. She also maintains a membership with The Veterinary Information Network (VIN). She received a Bachelor of Science in Animal Science in 1994 from Texas Tech University, a Bachelor of Veterinary Science in 1995 and Doctor of Veterinary Medicine in 1998, both from Texas A&M University, and completed her Masters in Public Health Epidemiology from University of Texas, Health Science Center in 2013. Dr. Russell is a member of American Veterinary Medical Association (AVMA), Texas Veterinary Medical (TVMA), and the Southwest Texas Veterinary Medical Association (STVMA). She serves on the Public Health Committee for Texas Veterinary Medical Association, previously serving on the Disaster Preparedness Committee. Her professional interests are centered around public health and small animal medicine & surgery. In 2015, in order to help SWTVMC continue its tradition of caring for orphaned and injured wildlife, she became licensed to rehabilitate native Texas wildlife. Dr. Russell recently completed Fear Free Certification. Fear Free signifies a transformative approach to veterinary care that ensures a patient’s emotional well-being is given the same level of attention as their physical well-being. Fear Free helps us make the veterinary visit more pleasant for both our patients and clients. Her hobbies include continuing education, gardening, physical fitness, and bible study. Dr. Russell attends the First Baptist Church of Uvalde, is involved in several of the local garden clubs, and is an active member of The Junior League of San Antonio. Mary Verstuyft was born in Texas City and raised in Leakey. Mary now resides in Batesville with her husband, Nathan, of Knippa, and their daughter, Claire. Mary began working at Southwest Texas Veterinary Medical Center in February 2012 as a animal care attendant. In March of 2016, she became one of our lead technicians. Mary completed her Certified Veterinary Assistant Level 2 this past year. Mary’s hobbies include fishing, hunting, helping her husband on the farm and spending time with their five furry canines. Thomas Crow was born and raised in Texas and graduated from Bracketville High School. Thomas attended SWTJC where he was a member of their prestigious rodeo team. Thomas joined the SWTVMC team in January of 2002. His passion for and lifelong experience with horses made him an excellent candidate for our equine technician position. He enjoys attending continuing education seminars and learning more about equine medicine and surgery. In 2015 Thomas traveled to Ames Iowa and received his certificate in Coggins lab training given by the National Veterinary Services Laboratories. In 2018, Thomas completed an intensive on line training course to become a Certified Equine Veterinary Assistant. Thomas’s hobbies include team roping and competing in ranch rodeos. He enjoys working with horses and spending time with his wife, Teresa also of Uvalde, and their three beautiful children Briana, Carter, and Trevor. Dallas Zoeller graduated from The Colony High School in 2011 but grew up in Las Vegas, NV. 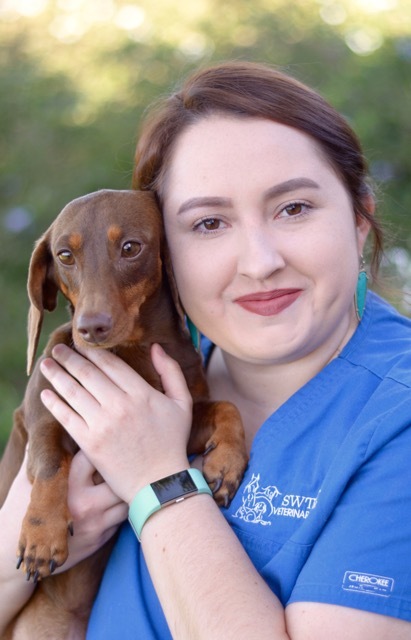 She moved to Uvalde in 2013 and became a client service coordinator at Southwest Texas Veterinary Medical Center in September of 2014. She was never able to take home all the animals she wanted and thought working with them would be the next best thing. Dallas currently works as a veterinary technician and is also our “go to” for all things computer. She loves to read and spends most of her free time playing with her daughter Addison and dog Sadie. Dallas recently studied and completed her Certified Veterinary Assistant Level 2 certification. Mellany grew up in Carrizo Springs and graduated from high school in 2013. She moved to Uvalde to attend Southwest Texas Junior College. 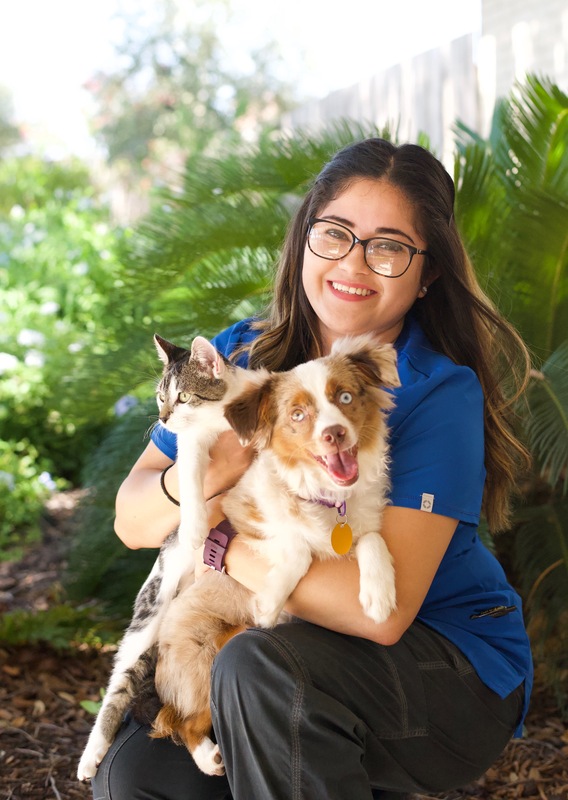 Mellany joined SWTVMC as a veterinary technician and is currently working towards receiving her Certified Veterinary Assistant Level 3 certification. Mellany always wears a warm smile, has the kindest heart and cares about people and their pets. She loves to spend her free time spinning around the dance flo0r, fishing out on the lake, and enjoying the outdoors with her poodle fur baby Creed. Barbara Rodriguez was born in Los Angeles, California and grew up in Hondo, Texas and graduated from College of Texas Careers in San Antonio with a certification as a nationally registered medical assistant. She currently resides in Pearsall, TX. Barbara worked as a medical assistant at Community Health Development for 10 years. She is passionate about leaning. She brought years of medical experience and her kind caring nature with her when she joined SWTVMC as a receptionist in July of 2015. She is currently training to become a technician. She has already earned her Certified Veterinary Assistant Level 2 training certificate and looks forward to earning her Level 3. Barbara has recently completed Fear Free Certification in order to help our practice move towards vet visits with less stress fear and anxiety. She enjoys spending time with her two children, playing outdoor sports, reading, and BBQs with friends and family. Maribelle was born in raised in Uvalde and worked in child care for 15 years before joining the Southwest Texas Vet. team as an animal care attendant. Maribelle is kind and caring. She enjoys helping others and takes pride in the cleanliness and comfort of the hospital. Maribelle completed her kennel assistant training course this past year. Maribelle enjoys spending free time with her husband of 26 years, three children and five grandchildren. She enjoys a good Zumba workout, reading, fishing, camping and has a talent and love of decorating for parties. Maribelle completed Animal Care Technology Kennel Assistant Certification in 2017. Most recently Maribelle completed her Fear Free Certification. The Fear Free program helps us make each visit as stress free as possible for all of our patients. Becky Garza was born and raised in Uvalde. She graduated from Uvalde High School, where she participated in soccer and powerlifting. She attended Southwest Texas Junior College where she studied criminal justice. She completed her Animal Care Technology Receptionist Certification in 2017. Becky recently completed her Fear Free training. A stress free visit starts in our waiting room. We appreciate all she does to make our clients and patients as comfortable as possible. After spending the day with all of the animas at work, Becky goes home to her 3 year old fur baby Petey, who is a Schnauzer mix. He is super friendly, loves kids and jumps for joy anytime he gets a little attention. He likes to fetch his toys and run around the yard. Becky is the youngest of 5 siblings, three brothers and a sister. She enjoys spending her free time with her family BBQing, playing volleyball, singing karaoke, and watching football. She also likes spending time at the rivers or beaches in Corpus Christi with her boyfriend Joey. Becky joined our team as a Client Service Coordinator in December, 2016. She loves working with and helping people along with their animals. Born in Uvalde and raised on a family ranch north of Uvalde, she participated in 4H where she showed pigs, goats and horses for many years. She also participated in several area rodeo clubs. She is a graduate of Southwest Texas Junior College with degrees in General Studies and Cosmetology. She completed her Animal Care Technology Receptionist Certification. Elizabeth greets everyone with a warm smile and goes the extra mile to serve our clients and patients. She recently completed her Fear Free Certification where she learned a few more tricks to make patient visits more amazing. Elizabeth currently lives in Sabinal, TX. She has 5 children and her youngest 3 attend school in Sabinal. She enjoys dancing, fishing, camping, reading and touring wineries but most importantly being a mother to her children. Her love of animals made her a perfect fit for our client service coordinator position. Hana Segura was born and raised in a small border town in Texas. Hana graduated from Eagle Pass High School, then attended a local community college for several years before becoming a 911 Dispatcher. She joined the SWTVMC team in the summer of 2018. In her free time, Hana enjoys spending time with her family as well as with her cat and dog. Hana also enjoys fostering pets for the local Humane Society. Hana is kind and caring. Hana is currently studying for her Certified Veterinary Assistant Level 1.